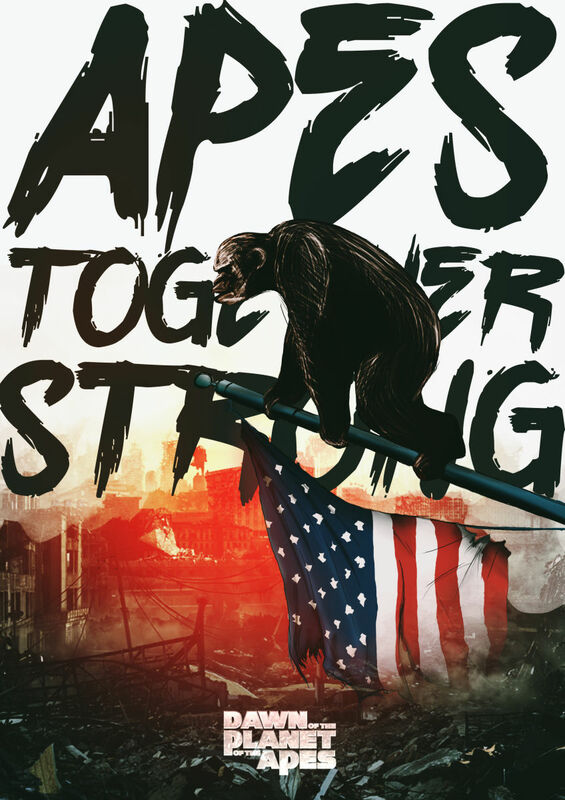 Fan-made poster for the new Planet of the Apes movie which I really loved, and I can’t wait to see it again on DVD/BluRay. Credit goes to Jaime Jasso for the apocalyptic background image. Check him out on DeviantArt.